Kingdom Come: Deliverance May Forgo its Kickstarter Stretch Goals | Nerd Much? Kingdom Come: Deliverance came out of the gates last month stumbling. And the team at Warhorse Studios are struggling to catch up. 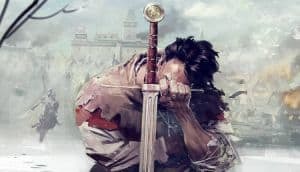 Thus, it may come as no surprise to some that the studio is hesitant about committing to the stretch goals which vastly aided their initial funding. While generally well received, the title was riddled with issues that reeked of a rushed launch. The folks at Warhorse Studios simply ran out of time and money. Which is likely the reason why they teamed up with Deep Silver in 2016 to co-publish the game in the first place. The update is hoping to rectify issues with the game’s Save and Quit system, lock picking problems, and numerous bugs within the title’s quests. There was a torch quick equipping problem that reared up following the 1.2.5 patch that the team is addressing too. But all of these issues are apparently being resolved at the detriment of the game’s various stretch goals on Kickstarter. It sounds like Warhorse Studios doesn’t have the resources to handle both, and Deep Silver doesn’t seem bothered. Following the quick and successful Kickstarter backing of Kingdom Come: Deliverance, seven different stretch goals were funded: Live in-game period music, a symphonic orchestra soundtrack, a playable female character, performance motion capture, an in-game combat academy and companion training video, a tournament mode and a dog companion. We’ll have to see whether these development knights stay true to their word.